Why Lt Gen Bipin Rawat was chosen as India's next Army chief over his seniors ? The Centre has faced strong criticism from the Congress for choosing new Army Chief Lt Gen Rawat over two senior officers, Lt Gen Praveen Bakshi and Let Gen P M Hariz. Defence ministry sources today defended the Narendra Modi-government's decision, saying Lt Gen Rawat was the appropriate choice given the current circumstances.Why was Lt Gen Rawat chosen instead of his seniors? Here's everything you need to know, in five points. In theory, the government is free to choose whomever it wants to lead any of the Armed Forces, but the seniority principle has almost always been followed. The last time a senior officer was superseded for the appointment of an Army Chief was in 1983 - more than two decades ago - when then-Prime Minister Indira Gandhi chose Gen A S Vaidya over Lt Gen S K Sinha. 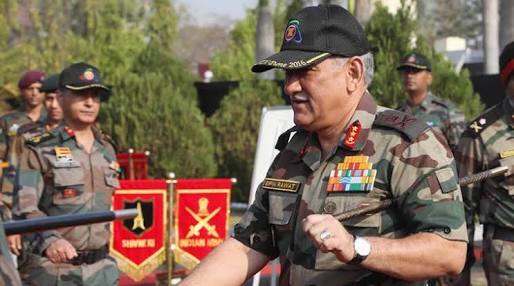 According to defence ministry sources, Lt Gen Rawat was found to be the best suited among the lieutenant generals to deal with emerging challenges - including a reorganized and restructured military force in the north, continuing terrorism and proxy war from the west, and the situation in the North-East. Ministry sources also cited his operational assignments as Commanding Officer of 19 Division in Jammu and Kashmir, his outstanding track record, his familiarity with the functioning of the Army HQ and Ministry of Defence in his capacity as Vice Chief and his "general dynamism" as reasons for his appointment. He was chosen because he was deemed to be suitable at a time "when the threat from Pakistan and China has increased," and his appointment isn't "a reflection on anyone else," a government source said yesterday. A top government official said Lt Gen Rawat had received the sword of honour at the Indian Military Academy at Dehradun, and had over 10 years of hands-on experience in counter-insurgency operations, and that he'd served at both the Line of Control (with Pakistan) and the Line of Actual Control (with China). His experience as General Officer Commanding-in-Chief, Southern Army Command in Mechanised Warfare has been focused towards the western borders, in coordination with the other two services, they added. Lt Gen Rawat is also known for his balanced approach towards soldiering, his compassion, and his connect with civil society, sources said. On the other hand, Lt Gens Bakshi and Hariz have "very limited operational experience in J&K (Jammu and Kashmir) and elsewhere," a top government official said yesterday. Labels: Why Lt Gen Bipin Rawat was chosen as India's next Army chief over his seniors ?